← North Texas Giving Day a Huge Success in Fannin County! 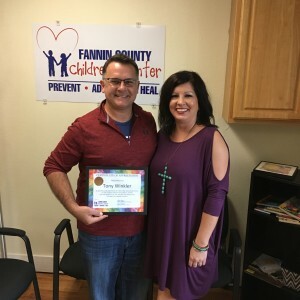 The Fannin County Children’s Center recently held a banquet at First Baptist in Bonham to honor all the volunteers who contribute their time and talents to the local nonprofit organization who serves abused and neglected children. 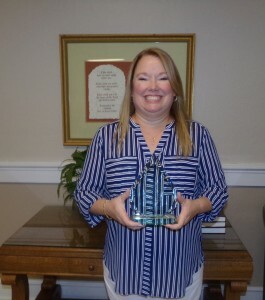 Michelle Hoops and Phyllis Kinnaird took home the top honors for the CASA program as they were named CASA Volunteers of the Year. Each woman has devoted many hours and driven many miles to visit children in foster care and speak up for them in court and other settings. Both have worked cases that were not easy. Their perseverance has made a difference for their CASA kids. Tony Winkler earned the honor for the Children’s Center Volunteer of the Year for all his efforts helping around the center. 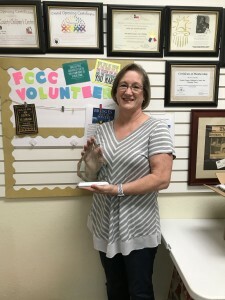 Volunteer Coordinator Andrea Lappin sang his praises for all the ways he helps around the center, including organizing the Rainbow Room, giving away school supplies and many other tasks around the office. 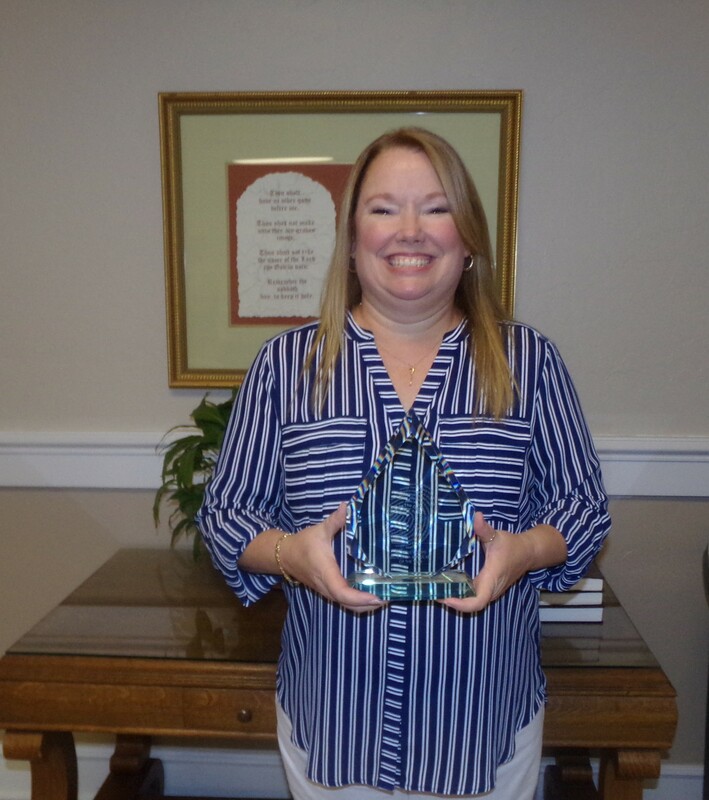 Marta Schreiber was given the CASA Super Star Award for her 19 years of dedicated service as a CASA advocate for children in foster care. Mike Nejtek was awarded the Team Player award for his efforts to pull together all the parties involved in the life of his CASA child to make things start happening for his child. Ray McGovern and Jarrett Tucker both won the CASA Rookie of the Year awards because they have both done excellent work in their first year of becoming CASA advocates. Kimberly Coffey won the Rainbow Room Volunteer of the Year award for her faithful efforts to come each week to organize and straighten up the clothing, shoes, diapers and other items in the Rainbow Room. Cassidy Barber was given the School Supply Drive Volunteer of the Year award for the many hours she cheerfully gives each year to shopping, organizing and preparing bags for the annual school supply drive. Richard Mattison was honored with the “Get the Job Done” award for all the tasks he completes around the center on a regular basis, including lawn care, changing light bulbs and air filters, cooking meals and more. For more photos, check out our Facebook page photo album.